Italy’s new populist government will face its first vote of confidence today in the Senate, the first chamber of parliament. The coalition was sworn in just three days prior, following three months of political turmoil which roiled markets and caused wide-spread uncertainty. 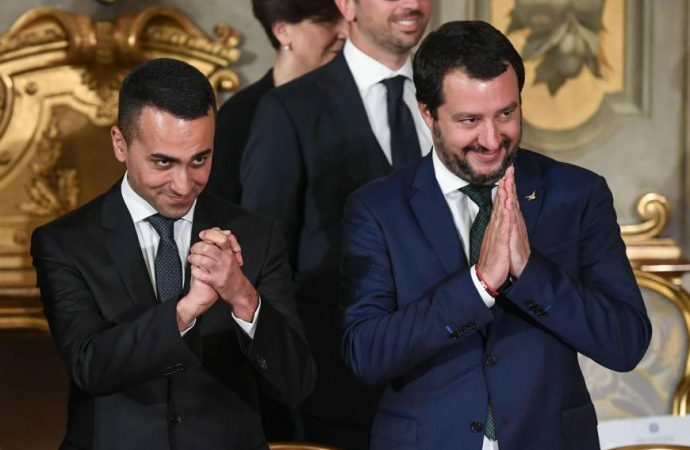 The agreement, which brought together the anti-establishment Five Star Movement and anti-immigrant League, is a first ideologically for Western Europe. With the parties together holding a majority in both houses, and much of the ministries assigned and policies outlines, today’s vote will likely go smoothly. The primary concern will be the coalition’s longevity, as both parties have made expensive promises which will fight for priority on the budget. Already the proposed program is expected to cost over $100 billion—high for one of the most indebted countries in Europe. Although surface level disagreements have been resolved, expect underlying disputes over the budget to cause issues down the road. Further political uncertainty would be perilous for Italy’s economy which has already taken blows in recent months. With Spain’s government also in chaos, it seems Southern Europe’s economic and political woes are far from over.